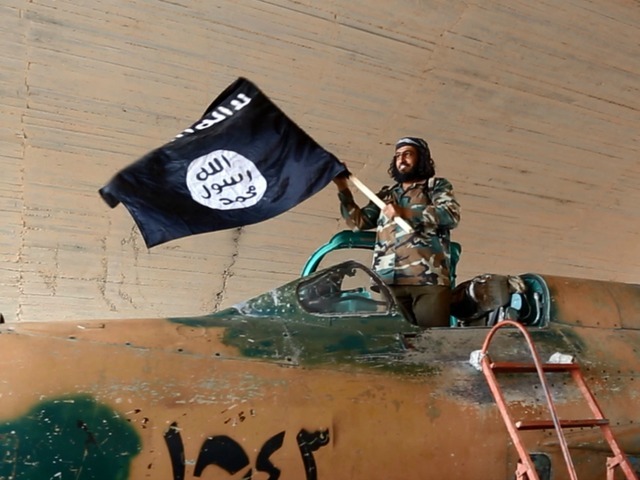 Islamic State jihadists are being trained to fly captured war planes by Hussein-era Iraqi pilots who have joined the group, reported a group monitoring the Syrian war. However, Gen. Lloyd Austin, the commander of U.S. Central Command, today said he could not confirm that Islamic State (IS, also known as ISIS and ISIL) jihadists are flying planes or that former Iraqi military pilots have joined the group. Citing unnamed sources, the U.K.-based Syrian Observatory for Human Rights (SOHR) reported on October 17 that Iraqi pilots are training IS militants at the al Jarrah military airport east of Aleppo in northern Syria, which is now controlled by the jihadists. The training is being carried out by officers who served in the Iraqi army under Saddam Hussein and have now joined IS, according to the observatory. Citing eyewitness accounts, the human rights monitor said a warplane has been seen taking off and flying around the captured al Jarrah airbase. Those same sources told the group that IS militants captured three aircrafts after taking over Syrian regime airbases in Aleppo and al Raqqa provinces. The group mentioned that the war planes are believed to be MiG-21 and MiG-23 models and added that it is unknown if the jihadists have missiles for the aircrafts. The observatory’s claims have not been verified. “We don’t have any operational reporting of ISIL flying jets in support of ISIL activity on the ground and so I cannot confirm that. And to the degree that pilots may have defected and joined the ranks of ISIL, I don’t have any information on that either,” said Gen. Austin during a Pentagon press briefing today.